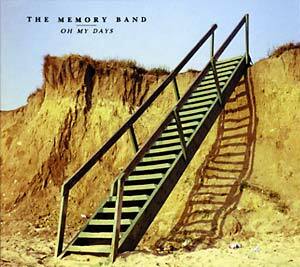 This is the third album by Stephen Cracknell's The Memory Band. 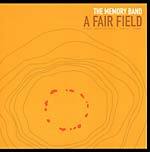 In a decade which has seen a wide ranging and fruitful revival of interest in folk music, The Memory Band has established itself in that fine English tradition of slightly schizophrenic projects pointing in several directions at once. From the outset, The Memory Band has embraced change and for Oh My Days, the ever-fluid line-up of the band has shifted once more, with a fresh emphasis on rhythm courtesy of the powerhouse team of bassist Jon Thorne from Lamb and drummer Tom Page of Rocketnumbernine, as well as an all-new vocal frontline featuring Jess Roberts, Jenny McCormick, Hannah Caughlin and Liam Bailey. Sam Carter, winner of the Horizon award at the Radio 2 Folk Awards, plays and sings on a number of songs, while there are contributions from names new and old; Nancy Wallace, Dot Allison, Sam Genders on vocals, guitarists John Smith and Pete Greenwood, bassist Jonny Bridgwood, string players Quinta, Rob Spriggs, Jennymay Logan and Laura Moody, Sarah Scutt on accordion and recorder, and Serafina Steer on harp. Oh My Days is a warmly-textured, delicately-balanced blend of the best elements from its predecessors. Low-key electronic pulses and loops purr away gently beneath material that radiates a quiet strength, having expanded its palette to embrace soul, gospel, Laurel Canyon rock and country blues alongside the folk and jazz elements of the earlier albums. 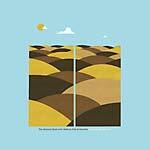 It's a beautifully-poised piece of work, with the usual handful of inspired covers: Sandy Denny's "By The Time It Gets Dark," Graham Bond's "Love Is The Law" and Jeff Alexander's "Come Wander With Me" nestling amongst ten originals, several of which are already live favorites.